The Charmilles Robofil 440cc machine has a new generator making it one of the fastest wire EDM machines in the world. The ThermoCut wire threading system is faster and more reliable than the old system, and is one of the most reliable for unattended machining. Accuracy is ensured by a closed-loop feedback system which uses precision linear glass scales. 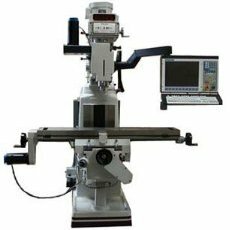 Due to a fixed worktable, workpiece weight does not affect the accuracy of the machine. In addition, the independent X-Y and U-V axes provide true 4-axis machining and large taper angles. Max. Workpiece Submerged Height 21.65" x 13.78"
Accuracy of the Robofil machine is ensured by a closed-loop feedback system which uses precision linear glass scales. Charmilles Technologies' patented Profil-Expert adjusts the machining parameters before each change of direction to improve accuracy of the part over the entire height of the work piece. 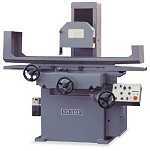 Due to a fixed worktable, work piece weight does not affect the accuracy of the machine. In addition, the independent X-Y and U-V axis provide true 4-axis machining and large taper angles. Our tooling consists of System 3R macro chucks, leveling heads, and workholding devices. We have a macro air chuck in each of our machines as well as our CMM. This allows us to mount the workpiece in a holder, level the part, and locate the part using the CMM all outside the machine. We then simply snap the tooling into the machine. This capability reduces machine downtime, and accuracy is assured because the tooling repeats to within 0.00008". Esprit is the leading CAD/CAM software used in the wire EDM industry. It supports the cutting of tapers, cones, and profiles requiring 4-axis machining such as parts with a circle on one end and a square on the other. Esprit is endorsed by OEM manufactures which ensures the code Esprit produces will deliver the expected results. It also accepts files from many other CAD systems, ensuring versatility. We use Esprit to program our CNC milling machine. We use the mill to drill holes in, and to engrave, some of our parts. * 9" x 42" Travel. * Digital Readout on X, Y, and Z axis. *	Equipped with an automatic down feed and coolant system.